Intelligent video analytics can now make your CCTV even smarter. Specialist video software, in use at the Farsight Observatory, now automatically and autonomously detects unusual activity. What can video analytics detect? From these examples, it’s clear that video analytics can benefit sites in many different sectors, from retail, to petrol stations, to office blocks and more. Discover the range of sectors that can benefit from remote monitoring and video analytics. How can video analytics work for you? With intelligent video analytics alongside a CCTV system you will benefit from a security system that is both efficient and accurate. Security operators at the Farsight Observatory will be able to rapidly respond to alarms, already knowing their cause, whilst CCTV cameras continue to track and monitor movement. For example, after an alarm has been raised CCTV cameras will pan, tilt and zoom to track an intruder moving across private property. Intelligent video analytics can even predict possible movements. For example, it can predict whether an intruder is intent on moving from one room to the next – giving Farsight’s operators the opportunity to lock down that room if they have advanced systems control. Why choose Farsight Security Services and intelligent video analytics? By combining the results that Farsight Security Services’ remote monitoring achieves with intelligent video analytics for CCTV and you have a winning security solution – one that provides you with peace of mind and the ability to improve business efficiency and more. 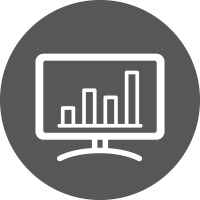 With a record for continually innovating and leading the way in the remote monitoring industry, Farsight will always offer cutting-edge solutions with the latest video analytics software. Find out more about the standards we set. If you want to improve your security with remote monitoring and video analytics from Farsight Security Services, contact us today. Call 0845 371 0101 or send us an email. Get in touch with us today to find out how Farsight Security Services and video analytics could improve your security and business efficiency. Phone us on 0845 371 0101 or send us an email.